Traffic may have been the first to establish what was to become something of a late Sixties cliché by ‘getting it together in the country’, but Berkshire folkies Heron took the rural conceit a stage further by actually recording both of their albums in a field. 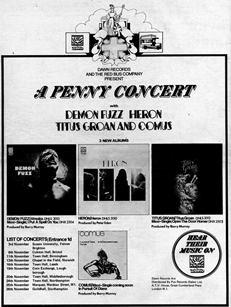 Both releases – their 1970 debut album Heron and the in the following year’s specially-priced double LP Twice As Nice And Half The Price – were made within the soft white underbelly of the British folk rock movement, and now warrant hefty price tags amongst collectors of the rarer artefacts of that particular genre. Heron’s suburban genesis occurred in 1967 at the Dolphin Folk Club in Maidenhead, where Tony Pook (vocals), Roy Apps (guitar, vocals) and Robert Collins (guitar) first came together in desultory fashion as a loose-knit collective inspired by Dylan and the early Incredible String Band. By the following year, Collins was out of the picture as, with the addition of fellow local folk club habitués Gerald ‘G.T.’ Moore (guitar, mandolin, vocals) and Martin Hayward (guitar), they settled down to become Heron. Moore was a particularly interesting acquisition, having led brass-based soul band Gerald T. Moore and The Memphis Gents, local heroes to Reading mods before Moore had decamped to Maidenhead to attend art school. Heron were signed to Essex by the late Gus Dudgeon, who would subsequently describe their style as “English pastoral, with a sunny, summer’s day feel… I’d been working for quite a long time with Ralph McTell, who, in the late Sixties and early Seventies, was the most successful British folk act, I suppose. 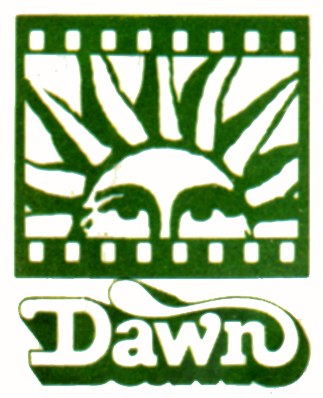 Essex Music was probably the most successful publishing company as far as folk music was concerned, so inevitably a lot of folk acts would come our way in terms of getting deals and publishing and so on.” In addition to Ralph McTell, Dudgeon was also working at the time with the pre-fame likes of Elton John and David Bowie. The latter, incidentally, had a very minor cameo role in the early Heron story. “After he’d had his big hit with ‘Space Oddity’, he went quiet for a while and ran this folk club in Beckenham”, relates Roy Apps, who, as Entertainments Secretary at Reading College of Technology, was in the useful position of being able to book his own band as support act for the likes of McTell. “He saw us playing somewhere, and, out of the blue, he booked us to play at his club. It's quite a memory that David Bowie carried my PA into a folk club... once!" Jones had initially been brought in as a session musician for studio work, but he fitted in so well that he was asked to become a permanent member. Ironically, that ‘studio work’ finished almost as soon as it had begun. In July 1970, Heron recorded two songs, ‘River Of Fortune’ and ‘Some Kinda Big Thing’, at Pye Studios with the assistance of Dawn label manager Peter Eden. But despite Eden’s guidance, Heron decided that they hadn’t enjoyed the experience of recording in a studio environment. “We hated it”, admits Roy Apps. “We were so used to playing to audiences, and having something coming back and being relaxed, that the pressure of being in a recording studio – well, we just couldn’t perform.” The proposed single release was cancelled (both tracks receive their first official release on our anthology), and Heron resolved to record all future releases alfresco. Despite this disappointment, Heron carried on. After being invited by David Bowie to appear as his support band at a June 1971 concert for Radio One, they hatched plans to record a second album. 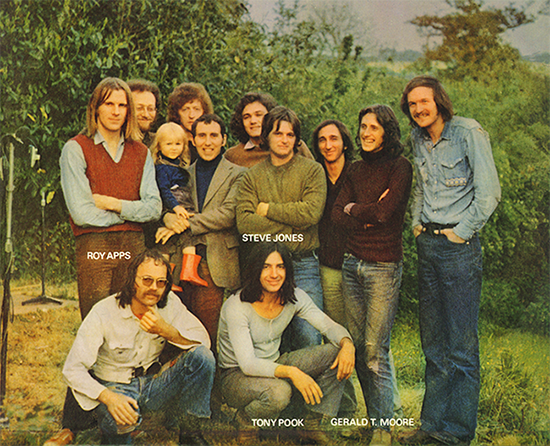 Tony Pook: “The engineer on our first album knew some people in Devon who rented out cottages, and he arranged for us to do the album down there – so we all piled into the vehicles with our massive £250 advance from Pye Records!” The band booked a week at West Emlett Cottage, a gamekeeper’s cottage in a small wood situated to the south of the village of Black Dog, and once again recorded out in the gardens. This time, though, their sound was fleshed out slightly at times by the presence of auxiliary members Mike Finesilver (bass), Terry Gittings (drums), Bill Boazman (electric guitar) and their old friend and fellow Dawn artist Mike Cooper (slide guitar), who also took the front cover photo (Heron had recently appeared as backing vocalists on Cooper’s album Trout Steel, by the way). With G.T. Moore in particularly prolific form, this time Heron came up with enough material to fill a double album, and such wise, gentle songs as Tony Pook’s ‘Wanderer’ and Moore’s lovely ‘Winter Harlequin’ made Twice As Nice And Half The Price a rewarding if rather sprawling 2LP set, full of understated harmonies and a rootsy, organic instrumental mix that, on tracks like ‘John Brown’ (an early, unreleased Dylan song kitted out with a new melody) and the punchy ‘Big A’, were occasionally reminiscent of the Band. 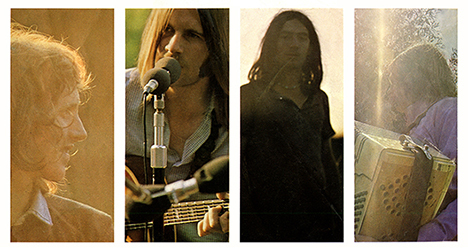 After Heron played their third and final Radio One session in August 1972 (on the Bob Harris-fronted Sounds of the Seventies), the band imploded. Moore issued a solo single through Jonathan King’s UK label in October 1972 before signing to the Charisma label as G.T. Moore and The Reggae Guitars (who also featured his friend and erstwhile Heron colleague Martin Hayward), also backing Persian singer Shusha on her mid-Seventies albums for UA. Meanwhile, Heron’s name continued to be used for sundry post-Moore ventures, including a late Seventies/early Eighties version of the band with Terry Clarke, who subsequently left to pursue a solo career. Various low-key recordings were made in the undertow of an increased level of interest in the band on the burgeoning Rare Record market. The culmination of three decades of sporadic activity occurred in 1997 when, with Gerry Power replacing the long-lost Moore, Heron returned to Black Dog for a reunion album that was quickly followed by a video/DVD charting the band’s myriad adventures. At the end of the week they gave a farewell concert to the Black Dog villagers, just as they had done some twenty-six summers earlier… Later in 2011 the original line-up got back together to record a new album and to do a couple of gigs in the UK. Their new album 'Simple As One Two Three' was released in Japan in August 2011 and is now also digitally available. Later in 2013 they also releasing a Dylan cover album called 'Jokerman - Songs of Bob Bylan'. Currently doing gigs in both UK and Europe.